The Maersk McKinney Moller, the first of Maerk's Triple-E class of mega-ships. But ocean shipping struggles with flat rates, over-capacity and higher fuel costs. Maersk saw its quarterly profit weaken year-on-year as freight rates remain stagnant and fuel prices rise. In response, the world’s largest container line plans to reduce capacity over the next 12 months. 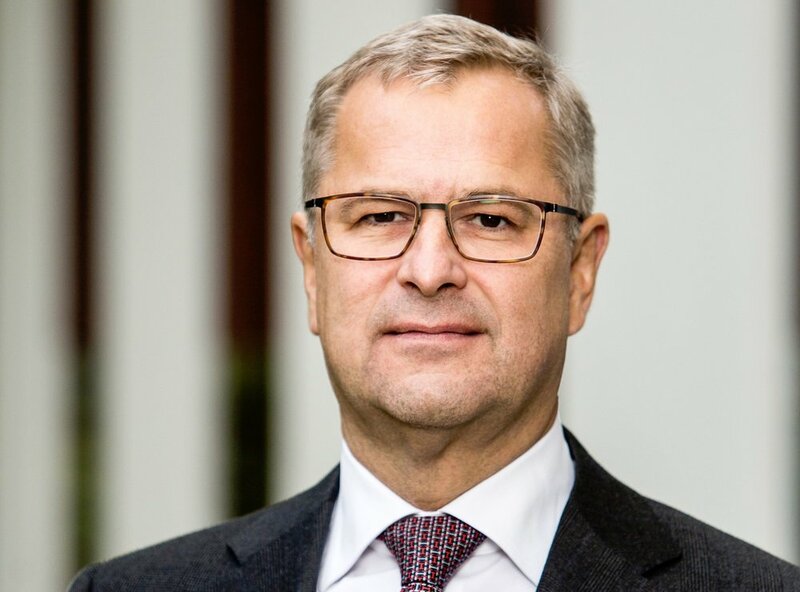 Chief executive Soren Skou says the company is seeing typical peak seasonal patterns and the third quarter has “started off with solid volume.” As for the trade war brewing between the world’s two largest economies, Skou says Maersk is not yet feeling any affects from it. August has seen ocean freight rates, particularly for the Asia-to-US trade lane, recover thanks to seasonal import activity. Some market watchers see the recent strength as evidence of front-end loading of cargo volumes ahead of tariffs on a further $200 billion in Chinese-made goods. If tariffs were to hit cargo volumes, “it would only be the trans-Pacific trade where the majority of that would be felt,” Clerc added. The main issue for Maersk and its peers is still matching capacity to demand and finding a way to mitigate higher fuel costs. The Copenhagen-based company reported a 26% increase in volumes transported for the second quarter to 3.4 million forty-foot-equivalent (ffe) units due to having a larger ship fleet after the acquisition of Germany’s Hamburg Sud. But the company expects its organic volume growth for 2018 to be below the 2% to 4% volume growth for the market. Maersk Soren Skou says "there's been no impact on the ground" in tariff disputes between US and China. Rates in the second quarter reflected the industry’s capacity issues. Maersk said its average East-West freight rate was down 5% year-on-year last quarter to $1,782 per ffe, while the North-South rate was down 1% to $2,065 per ffe. Overall, quarterly ocean shipping revenue was up 25% to $6.95 billion. But excluding the acquisition of Hamburg Sud, Maersk said revenue would have been up 0.6%. Operating profit in ocean shipping was down 23% for the quarter as marine fuel prices, which were 28% higher than the year earlier. Maersk implemented bunker surcharges in the second quarter and says it plans to recoup bunker costs from contracted customers in the latter half of 2018. But the “bunker costs were not captured in the freight rates” during the quarter, Skou says. In response to the stagnant rates, Maersk said it cut capacity 2% in the last quarter with plans for further cuts over the next 12 months, largely through returning ships chartered from third parties. But Maersk’s logistics segment, which includes freight forwarding and supply chain management, was a growth segment with revenu up 7% to $1.49 billion, thanks to higher revenue from inland trucking. Maersk touted new customer wins in the second quarter, increasing its warehouse capacity, and the release of its digital freight forwarding tool, Twill. “Logistics is a segment where we want to grow,” Skou said.